Private Banks of Issue. 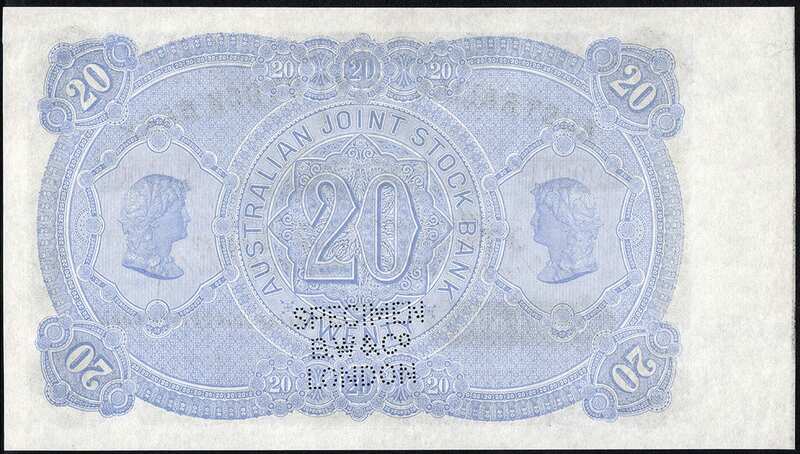 Circa 1823-1901. 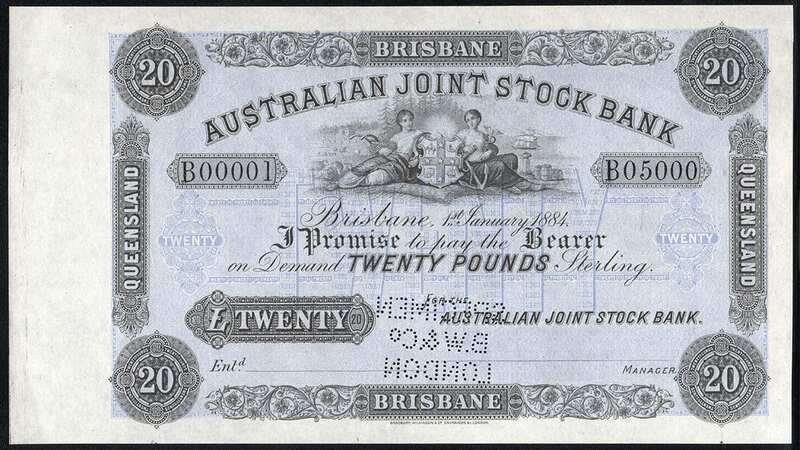 Bank of Issue: The Australian Joint Stock Bank Limited. 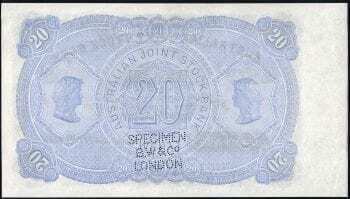 Year of Issue: 1884. Domicile: Brisbane. RR: $12500.00. 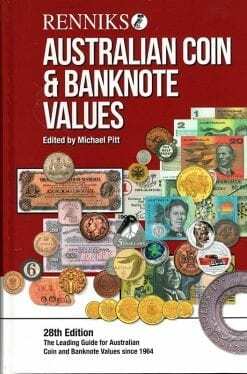 Source: Renniks 28th edition Coin & Banknote Catalogue 2018. Page. 182.